Cathcart Elliot are one of the UK's leading suppliers of quality wooden shoe trees. People's feet produce sweat, even in cool conditions, which is then absorbed into the linings and leather of shoes. Cathcart Elliot's cedar wood shoe trees protect the leather, the stitching and the soles in your shoes from damage by absorbing moisture, smoothing out any creases and wrinkles in the leather, helping the shoes keep their shape, and preventing the leather from cracking. The natural aroma of cedar wood is purported to repel moths and other insects - further protecting and prolonging the life of your shoes. Cathcart Elliot have an online shop and have successfully used Google Shopping to set up their campaign. The main advantage of Google Shopping is that it is very easy to use - it uploads your pre-formatted product feed, automatically matches products with search queries, and creates specific advertisements to attract users to your store. 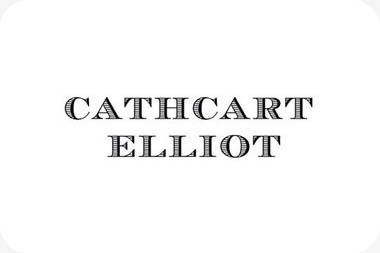 Cathcart Elliot had been generating a profit from their online e-commerce activities but we anticipated that, with our help, they could be making a lot more. Whilst it's easy to set up a Google Shopping campaign that functions correctly, it's much harder to maximise your profits. Like any software package, there are "default" options that are meant to be helpful but simply won't work for everyone. In many cases your adverts will show up when people search for keywords that aren't remotely relevant to your products and your marketing budget will be depleted when you had no chance of making a sale. Secondly, with over 15 years of bidding, Google Adwords are highly competitive and many keywords are now extremely expensive per click. 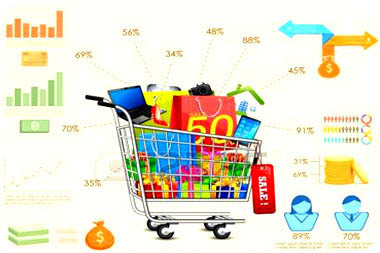 In fact, the profit in each product may impose a budgetary limit on what you should spend on a keyword. If your product generates £5 profit but the search term clicks cost £2 per time and if it takes three clicks to generate a sale, then you've lost £1 per sale! As experts in Google Shopping and Adword campaigns, the team at RT Search were able to understand the products and the audience, and really delve into the detail of each product to ensure it has the highest chance of resulting in a sale. This also involved testing and measuring popular searches against competitive websites and deciding where to prioritise the marketing spend. We are delighted that we have increased their profits in only three months of working together. In April 2017 their overall Return on Investment was their best ever figure and this upward trend looks set to continue. Jake Boyle from Cathcart Elliot commented: "I was wasting money on shopping campaigns and unaware of the clever techniques, which require quite a lot of work, but cut down significantly on the wastage and increase the ROI significantly - a very satisfactory outcome!" Google AdWords is an advertising service designed for use with the Google search engine and its advertising network. It enables businesses to create adverts using highly relevant keywords that their potential customers may use when searching for their products and services via Google. When a user searches for your keyword, this triggers your advert to be shown under the heading "Sponsored Links" found on the right-hand side or above the Google search results. Different businesses may bid for their favourite keywords and, in general, the highest bidder's advert will be the most prominently displayed. The business only pays for the advert when a user clicks on it and is taken to the business's specific landing page for that advert. Businesses can control their budget for their AdWords advertising. Often referred to as Pay-Per-Click Marketing, AdWords is undoubtedly a great way to target potential customers who are actively looking for what you're selling. However, it can also prove one of the more technical challenges to tackle. Using it incorrectly can be expensive in wasted clicks that fail to deliver any sales. Here are six tips to consider when using Google AdWords. Google Shopping is great at working with formatted data feeds and their Google Shopping Ads show your product images, prices, brief descriptions using a more purchase-oriented presentation than text-only Adwords. They display well on both desktop and mobile search engine results, appearing at the top of the page in a generic Google Search as well as within the "Shopping" tab of the search engine. N.B. This is a great start-up tool but to maximise your potential sales you need manually to optimise your products and keyword choices extremely carefully. Google's Keyword match types are essentially helpful ways for you to expand or contract different search concepts into the actual words and phrases needed for your keywords. For example, do you want the keyword phrase "men's shoes" also to include the phrase "shoes for men"? There are four match types and these are Broad Match, Modified Broad Match, Phrase Match, and Exact Match. Google uses Broad Match as a default which may be useful to give ideas but often is far too broad to give you a good return on your investment. These will often include misspellings, related searches, synonyms and variations like "shoes for men". Whilst it should be used sparingly in your final version, it can be a useful research tool by revealing other keywords that may be worth bidding on when you identify which keywords actually convert for you. This will be triggered by searches that include your chosen phrase or close variations of it - e.g. "where can I purchase men's evening shoes?" will display the ad for "men's evening shoes" as a phrase. This is most useful when you know the exact search terms you would like to compete on. If you only have an "Apple iPad Mini 4" for sale and no other Apple products or iPad/iPhone models then you only want to pay for an exact match. The user searching for an iPad Mini4 is more likely to buy as you have the exact solution he or she is looking for. This is a popular choice as it will include searches that contain the specific terms or very close variants of them but regardless of word order. This is usually denoted by adding a plus sign to the start of each word - eg +men's +shoes will be triggered by "shoes for men" as well as "men's shoes". A high click-through rate (CTR) on your ads can be expensive if its from people with no interest in actually buying from you! Building a negative keyword list is a good way to exclude this low quality traffic. This is absolutely key. Linking an ad to your website Home Page should be a criminal offence in the world of Adwords! You are taking your potential clients on a sales journey in as few steps as possible between search and purchase. The more relevant the entire experience is for your searchers, the better your chances of converting with each search. You must do the hard work for the customer and not expect them to navigate your site looking for item they were searching for. Your AdWord ad will also set an expectation as to what to expect on clicking and if that expectation is not met, you will more than likely lose the sale. Ideally you should create a dedicated landing page for each specific promotion as this will improve your ability to convert visitors. It's more work but it will generate more sales so it's worth doing the maths here! Using Ad Groups helps to organize your keywords and the resulting ads that will be displayed for those keywords. To show ads that are relevant to the searches of people you're trying to reach, bundle related ads together with related keywords into an ad group. That way, all of your related ads can be shown to your customers searching for similar things. So you could split your ad groups by product categories and have different ad groups for "shoes" and for "clothes". You could also split your ad groups by audience specifics - eg male and female or UK and overseas or Retail and Wholesale for example. Similarly you could pull out a specific USP of your offering - Next Day Delivery before Christmas etc. Each ad group should consist of a segment of keywords that are relevant to all ads within that ad group in order to increase the relevancy of your ads and quality score. A standard ad is very tight on space with only a few characters for the two headlines and a brief description. However, you can enhance your ad by using ad extensions and link headline text. Location: Show you're a local business or give directions to the physical location of your store. Call: Adding a phone number adds credibility and encourages potential customers to telephone. Structured Snippets: Showcase your range with examples of different styles, services, etc. With more information and links, you'll have more copywriting opportunities to beat the competition and differentiate your ads just by taking up more space in the search engine results.